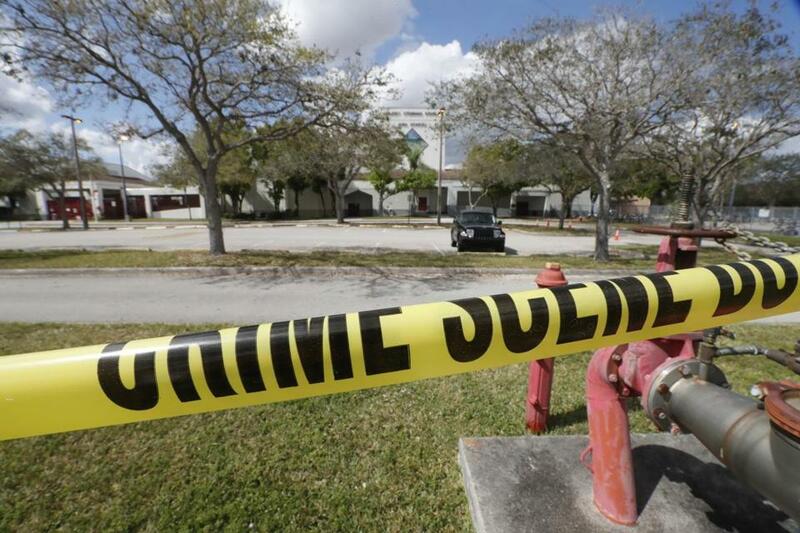 Crime scene tape ran outside Marjory Stoneman Douglas High School in Parkland, Fla.
Only five states have laws enabling family members, guardians or police to ask judges to temporarily strip gun rights from people who show warning signs of violence. Supporters of these measures, deemed ‘‘red flag laws’’ or gun-violence restraining orders, say they can save lives by stopping some shootings and suicides. After Wednesday’s shooting, Republican Gov. Rick Scott said he will work to make sure people with mental illnesses don’t have access to guns, but offered no specifics. Florida’s GOP Sen. Marco Rubio — facing withering criticism over his acceptance of $3.3 million in career campaign cash donated through the National Rifle Association — is going a step further now. Rubio said on a Sunday morning show that state legislators should ‘‘absolutely’’ consider enacting a law enabling family members or law enforcement officials to ask a court to remove guns from a person who poses a danger. 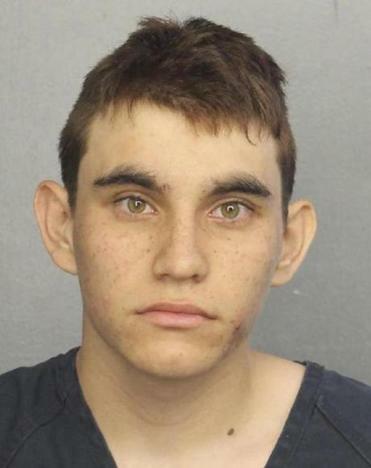 Rubio, who once served as Florida’s House speaker, told Miami CBS affiliate WFOR that it’s an ‘‘example of a state law’’ that could have helped prevent the Florida shooting. ‘‘We need to make sure that when people see signs, they have every ability to do something about getting guns out of the hands of mentally ill and dangerous people,’’ Ting told The Associated Press. ‘‘It’s a way to allow for temporary removal of firearms in a situation just like this: where somebody has made threats, where they have been expelled from school because of those threats, they’re in counseling, and parents or the school or whoever it is understands that this person poses a threat,’’ she said. The NRA’s lobbying arm has said such laws enable courts to remove Second Amendment rights ‘‘based on third-party allegations and evidentiary standards’’ that are lower than what’s required in criminal proceedings. In a study published last year, researchers at Duke, Yale, Connecticut and Virginia estimated that dozens of suicides have been prevented by the law, roughly one for every 10 gun seizures carried out. They said such laws ‘‘could significantly mitigate the risk’’ posed by the small number of legal gun owners who might suddenly pose a significant danger. Foley reported from Iowa City, Iowa. Associated Press writers Jonathan J. Cooper in Sacramento; Gary Fineout and Brendan Farrington in Tallahassee, Florida; and Lisa Marie Pane in Atlanta contributed to this report.